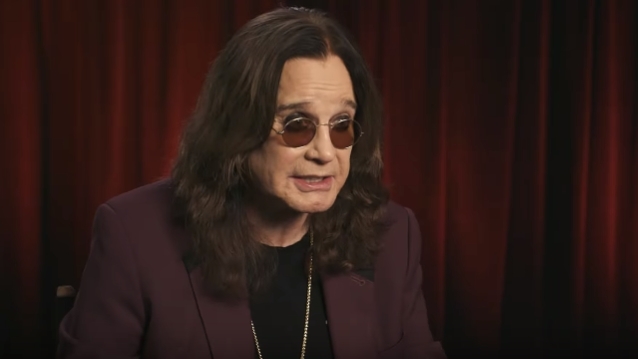 A short video of Ozzy Osbourne discussing the upcoming Ozzfest New Year's Eve celebration can be seen below. 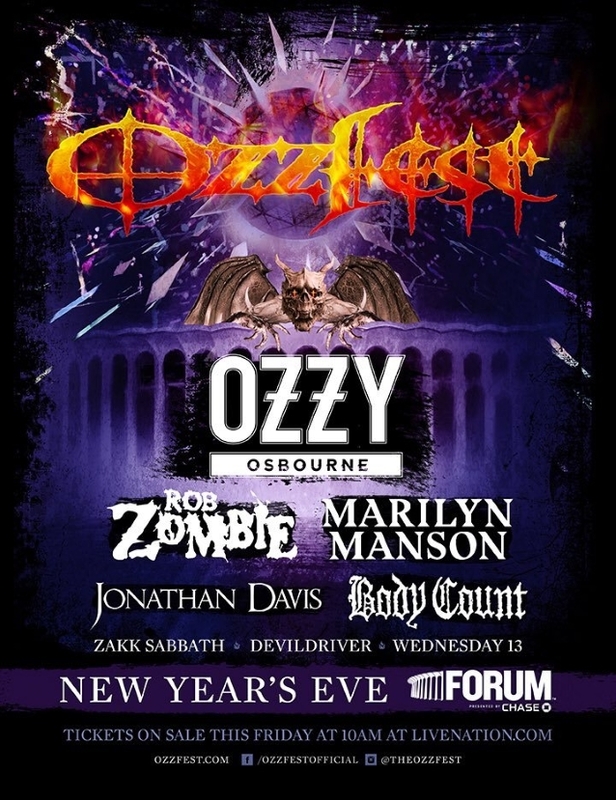 Set for Monday, December 31 at the Forum in Los Angeles, Ozzfest will kick off with live music at 2:30 p.m. with sets from ZAKK SABBATH, DEVILDRIVER and WEDNESDAY 13 on the outdoor stage. Early concert-goers will also get to sip cocktails while also enjoying offerings from a variety of food trucks which will be set-up throughout the outdoor performance area, all available for purchase. Food choices include Mess Hall Canteen, Burger Monster, The Viking Truck, The Coconut Truck, Kala Truck, Broken Rice and Drizzle Truck, plus a booth from the legendary Trejo's Tacos.